Just like a fingerprint every diamond is unique. 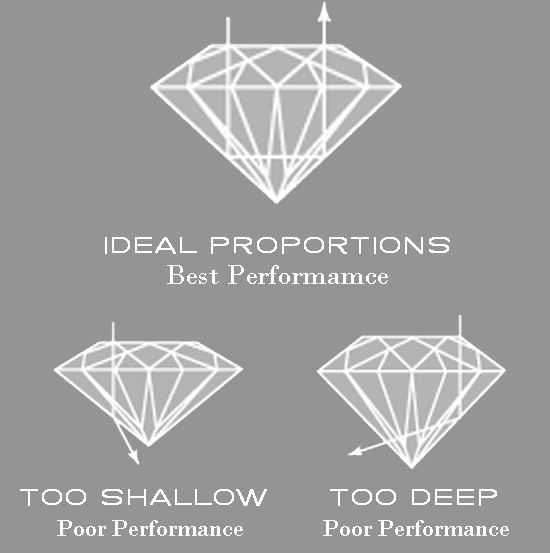 Find out more with Catherine Budd's detailed guide about diamonds, the 4 C's, and how important really is the diamonds cut? Just like a snowflake, every diamond is unique. For a diamond to sparkle most brilliantly, the proportions and angles of the cut stone need to be precise to reflect the maximum amount of light back out and achieve what is known as 'total internal reflection'. This may not be the case if it has been cut too deep or too shallow. If a diamond doesn't catch your eye or if it doesn't flash in the light, it's probably not well cut. Good cutting is what brings fire to the ice. The most sought after diamond is one where no colour is evident at all. 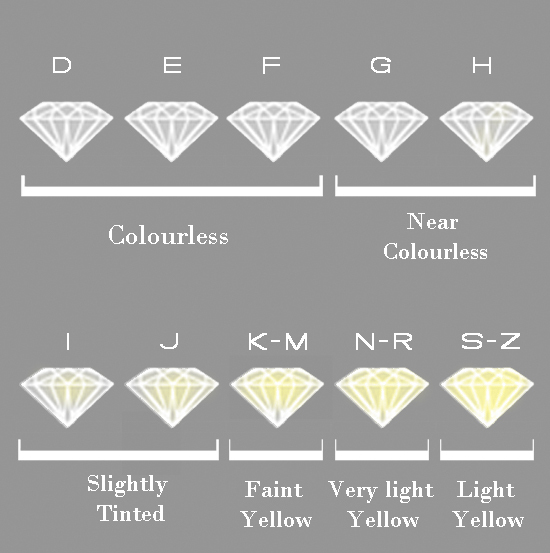 Diamonds are graded on the colour ranging from no colour at all (D) to deeply tinted yellow/brown (Z). Beyond "Z" is where the diamond's colour is no longer a 'tint' but an actual colour which is vivid and rich. These are called "fancy coloured diamonds" and are breathtakingly beautiful and rare. Diamonds are made of carbon, but during crystallisation other minerals can become trapped. These impurities known as 'inclusions' show up as the various characteristics that affect the clarity of a diamond. Clarity is measured on a scale ranging from pure (flawless) to heavily included (I-3). The visibility of inclusions and blemishes that can be seen by an experienced grader under 10X magnification in good lighting sets the stone’s clarity, and the actual clarity grade is determined by the number, nature, position, size and colour of the inclusions. Carat is the universal measurement of weight for gemstones. It is equivalent to 0.2 grams and is divided into one hundred points, so a diamond measuring 75 points is 3/4 carat in weight, or 0.75ct. The unit was devised in 1913, its name coming from the carob seed, used by early traders as counterweights to measure precious gems.